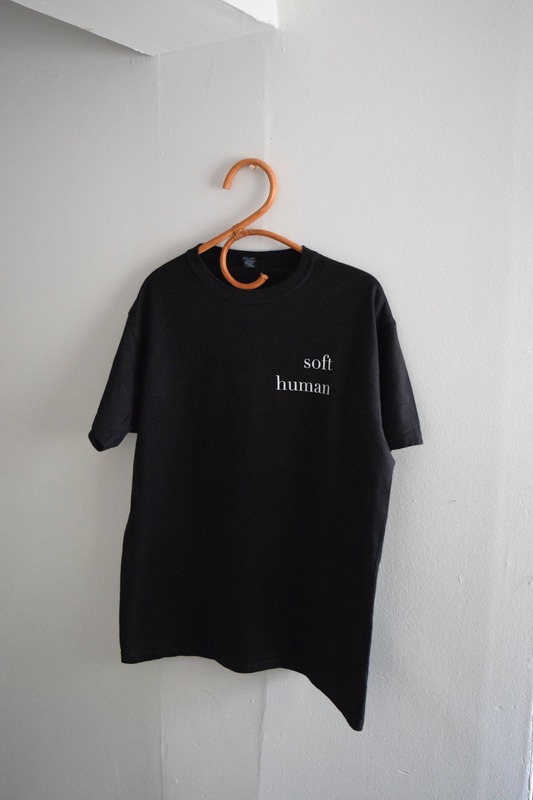 Soft Human Unisex Cotton Tee. Whether you're soft to the touch, or soft emotionally. 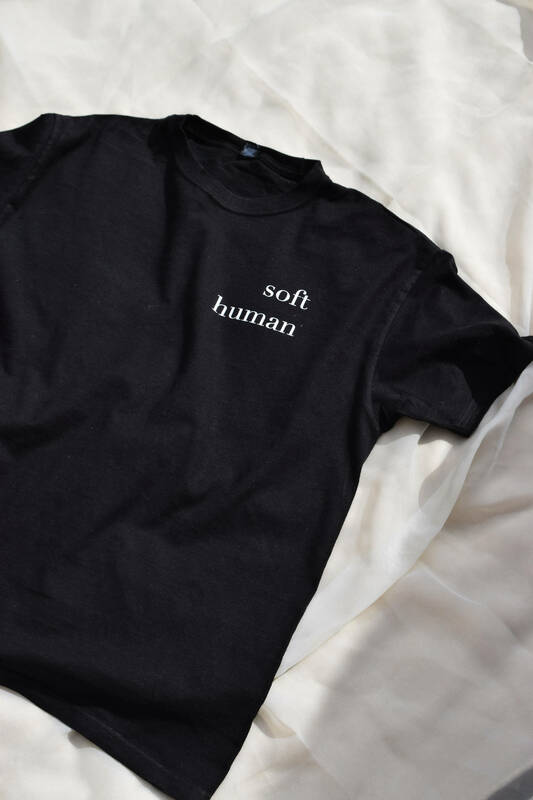 For all our gentle babes and boys, a unisex cotton tee with "soft human" typed over the right breast side.